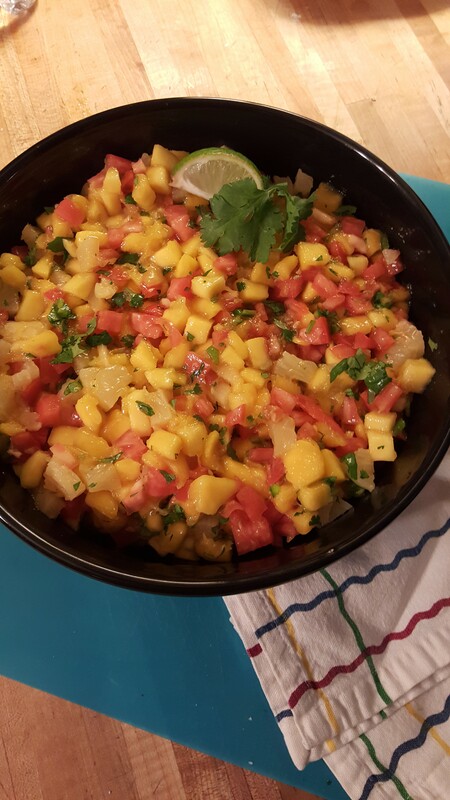 Mango salsa is one of my go to recipes when I’m in the mood for something grilled yet want it to be fresh and healthy at the same time. And normally U serve it with Blackened Grilled Salmon. The combinations is to die for! But tonight, we’re having chicken instead because I used the salmon earlier in the week along with the spring rolls. This IS plan B, (smile) and the alternate plan doesn’t have to mean it’s secondary or less than. 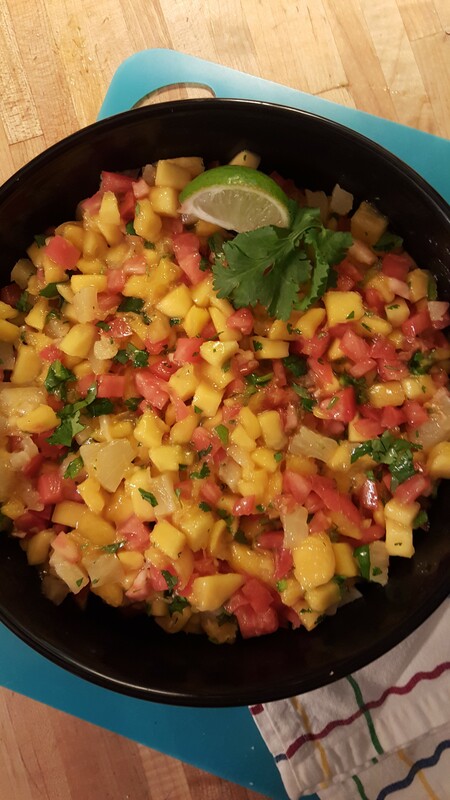 So back to the salsa, I figured I’d actually give you a recipe this week instead of just writing about food after the fact. 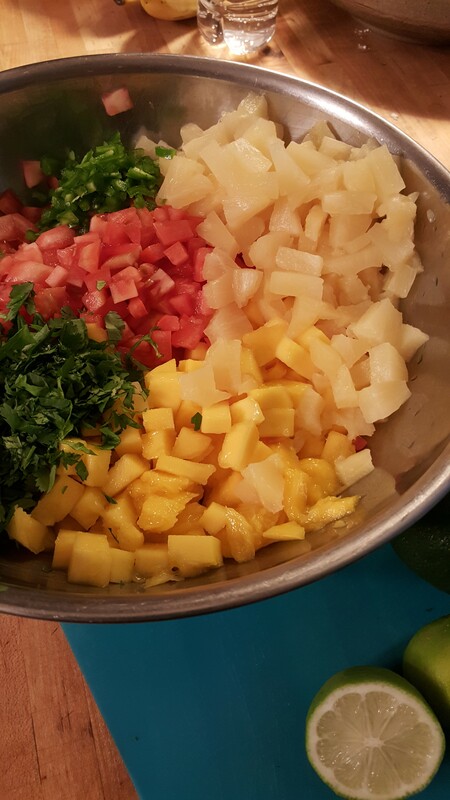 The first thing you need to do is get your knife really sharp because you’re going to give it a work-out for this salsa. Next, you need to get everything, the mangos, the tomatoes, the pineapple and the jalapenos, which are actually minced but you get the point. 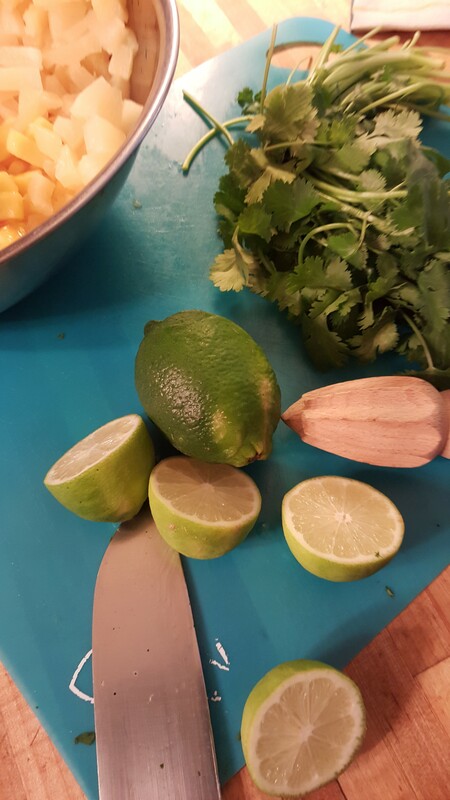 Next, squeeze on the lime juice and give it a good stir. Now you’re home free! Just poke it in the refrigerator for 30 minutes or so while you get the rest of your meal ready. Combine all the ingredients and refrigerate for at least 30 minutes. 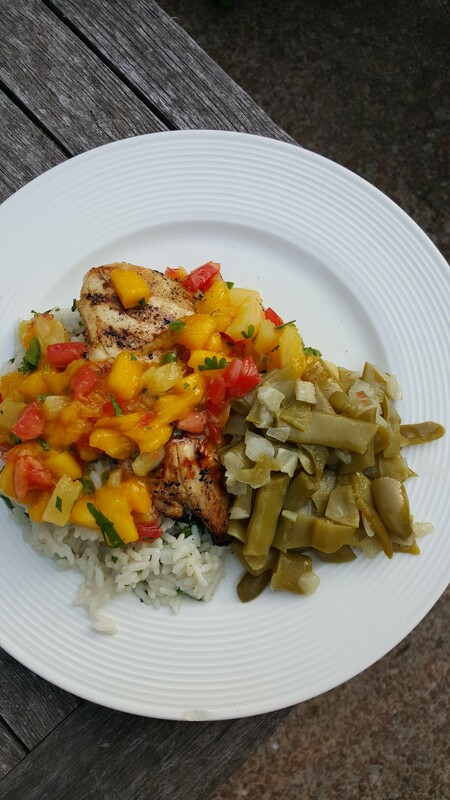 Serve with chips, grilled blackened salmon, chicken or pork or simply a spoon. Note: I used the pineapple juice along with some lime juice and minced garlic to marinate the chicken in before grilling.